What Does 1 John 5:19 Mean? When Adam sinned, he lost his God-given authority over the earth. Man had been made in the image and likeness of God to rule over the fish of the sea and the birds of the air. 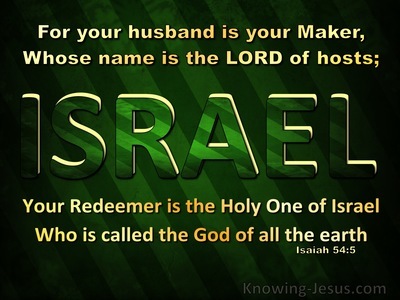 He was given the responsibility to rule over the whole earth and subdue it. Man was to be God's representative on earth, who would govern the world in righteousness. However, because of sin, this privilege was forfeited, the earth was cursed and the whole world started to be ruled by Satan - the fallen cherub, who tempted Adam to sin against the Lord. This evil being is the devil, and he is the author of all that is evil. This malevolent ruler is called 'the god of this world' and 'prince of the power of the air'. 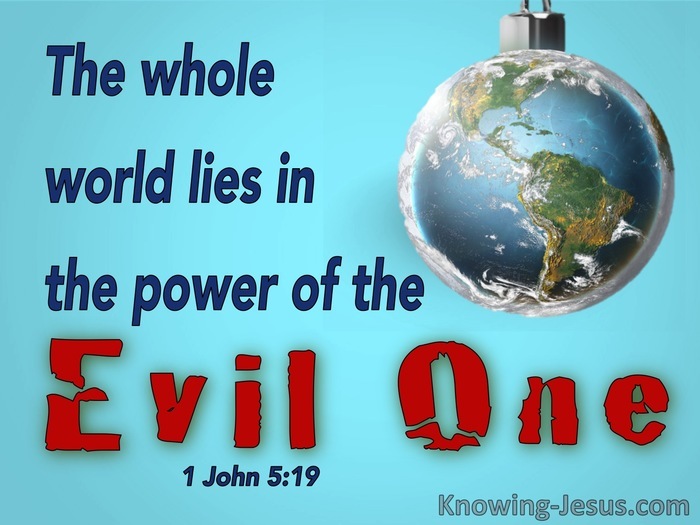 Today the earth and all that is in it continues to lie in the power of this vicious fiend, who is the devil and Satan. He will continue his nefarious rule on earth, until Christ, Who defeated this evil enemy at the cross, returns in power and great glory, to finally bring his despotic rule to a close - and return the world to its former beauty and loveliness. However, God in His grace purposed to redeem the lost race of man, forgive his sins and return him into his former position of power and glory. Man, who was created in the image of God, to rule the earth, is to be reinstated into this privileged position. But first, the high price for sin had to be paid, and only the sacrificial death of a perfect Man, who would willingly die to pay the price for the sin of the world could meet the cost of sin. However, only God is good enough to pay that enormous price for sin. And so, God in His grace sent His only begotten Son to be born into the human race, so that He could live and die as the one and only Perfect Man. He came to offer His own sinless life as the ransom price for the accumulated sin of the whole world - so that whosoever believes on Him, would be identified with Christ and reckoned as righteousness. 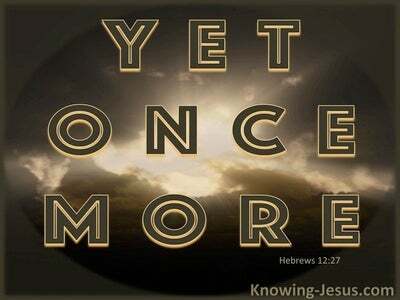 Those who believed would not perish, but be granted the life that was forfeited to Satan. However, those that would not believe would remain enslaved to the cruel god of this age and condemned by the God of gods. When we understand how man's fall estranged humanity from God and placed everyone under the power of Satan, we understand that there are two distinct categories of people in the world today. 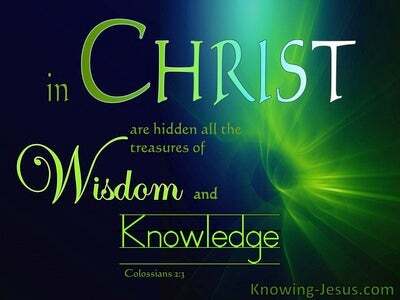 There are those that are saved, by grace through faith in Christ, and there are those that remain dead in their sins and are facing a lost eternity.. unless they trust in Christ for the forgiveness of sin and life everlasting. 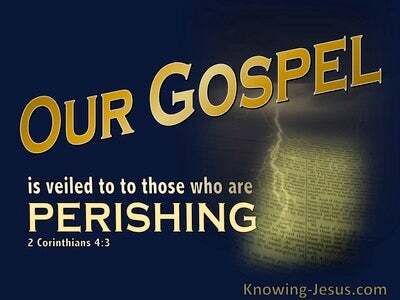 We who have been enlightened with the truth of the glorious gospel of grace, understand that we, who have been saved by grace through faith in Christ.. are 'of God'. The new nature of a regenerate man or woman is inherently sinless, because the 'seed' of God is within us. The 'life' of Christ dwells within the new life we received at salvation - indeed John tells us that the new nature we received when we were saved cannot sin. OH! we still have an old sin nature which tries to dominate our new life in Christ.. for the flesh lusts against the spirit and the spirit lusts against the old fleshly life.. and as believers we are instructed to confess any sin that we carry out in our old, fallen, sinful nature. However, we are no longer slaves to sin, nor are we under the power of the evil one, like those that are unsaved and remain dead in their sins - for we are 'of God'. 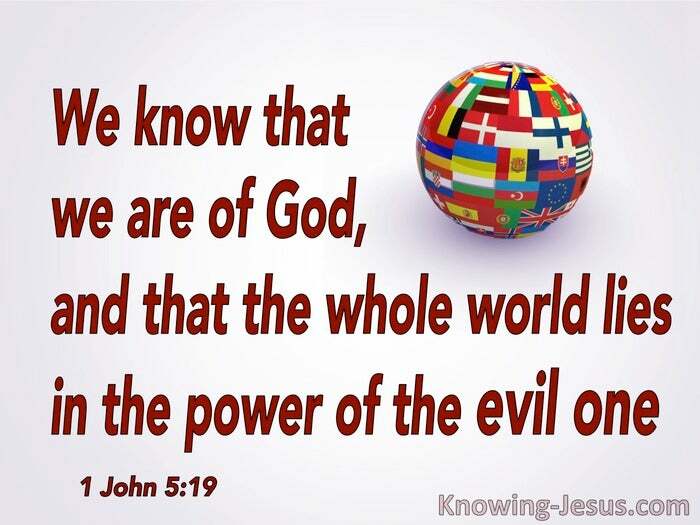 As believers, we know that the whole world lies in the power of the evil one, but we also know that we are of God, and that in Christ we have the power to overcome sin and Satan, through Christ's imputed power and His sufficient grace - as we die to our old sin nature and live our new life for Christ, through the power of the indwelling Holy Spirit.